“Hmm,” the bear rumbled, squinting through his monocle. Molly noticed a crack in the glass, something she hadn’t caught before, and wondered why such a proper bear didn’t fix it. He hummed again, though in any other of his kind, the sound might have been a growl. Resonating in his chest, it was merely the grumbling of a critical older gentleman. “Yes,” Molly answered weakly; she had listened to him repeat this line of thought seven times in the last hour. His thoughts must have a habit of repeating themselves. There was a sudden muffled thump against the door. The young woman looked to see one pink eye staring at her from a crack in the doorway. It’s owner jumped and fled, only to return seconds later with another thump. Molly could only stare. “Is that door talking?” asked the bear. “I don’t think so,” Molly answered him. The voice cooed in sorrow. “Oh, thank you, that is very kind of you.” The compartment door opened a little further, and a gangly flamingo slipped through. The bear gawked openly at her for a moment, then went grumbling back to his test of wills against the ticking watch. The flamingo fluttered nervously down on a seat, as far away as possibly from either of the other two. She gave little gasping breaths, as if each new moment startled her, and bobbed her head anxiously. 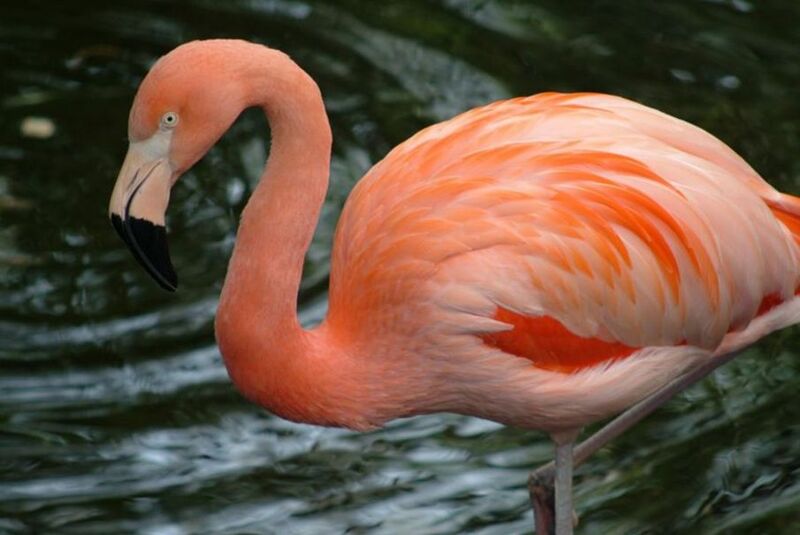 Her feathers were the most flamboyant pink, perfectly groomed and exuberant. She was hard not to look at, but Molly found herself gazing out the window, her chin resting on her palm. I wonder if my nieces and nephews will be out of school yet, her mind wandered. How will my boss ever keep the new shipment in order? There will be so much to do when I get home. This really is an uncomfortable way to sit. Molly straightened, and noticed the flamingo watching her closely. Their eyes met and the bird gasped, and for a moment Molly feared her heart might stop. Every time she looked away she felt the flamingo look back, and it became a game of tag. “Who? Me?” Me? Interesting? I’m not even boring—just…blah. Interesting people can be boring. Can a person who is dull enough to not even register as boring be even slightly interesting? How we perceive ourselves is how people perceive us, whether it’s by wearing gaudy hats or artwork painted on the skin. For a moment, I stopped thinking about how dull I was, and for a moment, I stopped being blah. But now I’m thinking about it again. I wonder what she thinks of me now. Molly glanced apprehensively at the flamingo, who was peeking out the door, bobbing her head, bobbing her foot. Molly sighed. and i can assume you’re an expert on this subject. Well with your permission allow me to grab your feed to keep updated with forthcoming post. Thanks a million and please continue the gratifying work.